Here at Pretty Pragmatic we are in favour of people using our names when communicating to us. In fact, sometimes we get referred to simply as ‘Pretty’ in personalised messaging, which makes us feel flattered. However, it does highlight the errors that can occur in this friendly pursuit. Personalised marketing is the process of sourcing customer information and using this to create individually personalised messaging as well as specific product offers. Whilst using data in this way can have ‘big brother’ connotations, it can also connect with people on a personal level and short-cut our decision-making process by making things feel more relevant. The importance of every campaign is not only the quality of the execution, but the accuracy and appropriateness of data which is gathered beforehand. The data can, of course, vary as to what product you’re looking to personalise. For example, if like Spotify, you were to personalise a playlist for one of your customers, you use the data on what music they commonly listen to. Assuming the customer consents to this as part of the conditions, this should be straightforward and clearly connected to the experience. Personalisation can be as simple as your first name on an email, recommendations for new movies and TV shows, suggested products based on things you’ve bought before, and not to mention the loyalty-based rewards and discounts on your favourite brands. 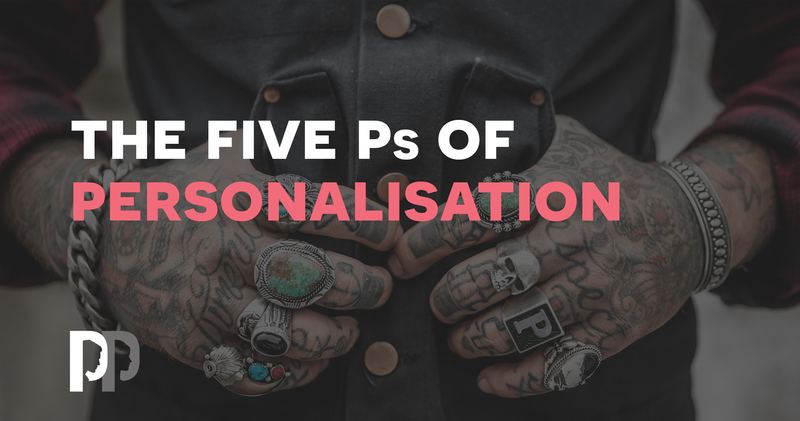 We consider the 5 Ps of personalisation in the following sections of this blog namely; Power, Psychology, Purchasing, Pitfalls, and Potential. First up, what is the power of personalisation and who cares? Giving your customers the feeling that they are valued by your brand and recognising their contribution can help them feel included and valued. Everybody appreciates a personal touch; being treating and acknowledged as an individual rather than a number or transaction. And as such personalisation is increasing in importance for marketers, with 42% of marketers stating personalisation was their top priority for the coming year. So why would marketers prioritise personalisation? The simple answer is because it works. 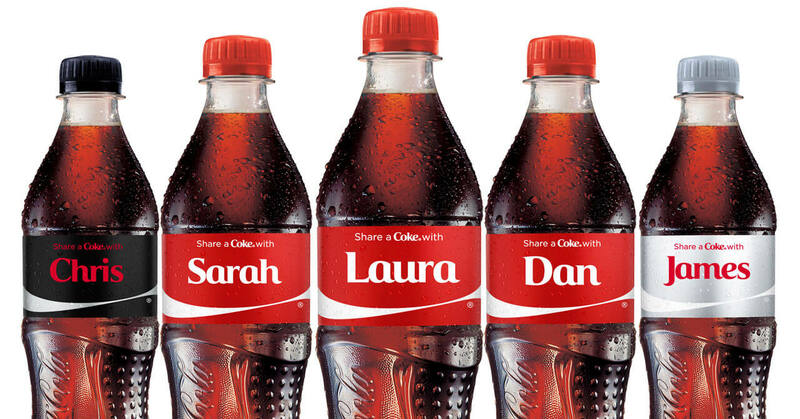 A well-known example of a very effective yet simple personalisation campaign is Coca-Cola’s ‘Share a Coke’, in which they swapped out their brand name and replaced it with the UK’s most popular names which were printed onto their bottles. The idea that they could share not only a Coke, but also special moments with their breadth of customers turned out to be hugely popular. After printing over 1000 names onto the bottles they received 998 million impressions on Twitter, 235,000 tweets from fans using the #shareacoke hashtag. The campaign created sales of 150 million personalised bottles, impressive considering the decline in demand for fizzy drinks. There is a lot more to personalisation than simply wanting a product. Behind all of this is the psychology and what really makes us feel good about a product with our name on, or why we feel valued when we receive an email that personally greets us. There are many factors as to why we would want a personalised product, such as the sense of ownership or to feel we have something more exclusive and different to everyone else. According to a study from the University of Texas, we can attribute our preference for personalised experiences down to ‘desire for control’ & ‘information overload’. When you get a product that is tailored to you and your needs it simply makes you feel more in control. So, as mentioned earlier, presenting pre-thought out options to buy makes life easier for people, but also enhances their feeling of control. How is the success of personalisation reflected in purchasing habits?  Some companies have based their businesses on the ability to personalise products to attract customers. Not On The High Street has used this to their advantage, selling a wide range of products with the option to personalise your goods, making them fantastic ideas for gifts and presents or even to personally tailor your own household items. Another related example is Oakdene Designs. The founder, Ben Grist, used Amazon and Not On The Highstreet to distribute his personalised designed items, but started whilst at university, growing the business to over £1 million in turnover in just 2 years. This illustrates the effect of the personalisation market within retail – and the success that comes from producing the right products and giving customers the control they want to create something to meet their individual needs. There are commercial benefits of personalisation. However, what are the potential pitfalls and what implications could there be in getting it wrong? The question is, is the risk of personalisation worth it? A case where personalisation can go wrong is a misspelt or incorrect first name on an email. Or the assumption that all things you purchase are for your own consumption or use. We’ve all been served with the wrong name and with ‘things we might like’ that we don’t, but these errors are pretty few and far between, so does the greater good outweigh the bad? A study conducted by Verint found that 40% of customers are willing to forgive mistakes made by brands if they feel the brands know them personally. There is, of course, the question about how do people feel about receiving personalised communications and offers? Some might feel this is a bit intrusive. However, 52% of customers globally say they like being offered a personalised experience, but 51% say that it is important the experience reflects them as a person. Therefore, we need to consider more than just the digital data and start thinking about other personal attributes when creating these offers. The potential of personalisation is seemingly endless. Technology like Siri can allow us to have a personalised experience using our mobile phone by understanding the tone and sound of our voice, responding to (most of) our questions and queries. Newer products like Alexa for our homes allow us to have our own personal planning system that understands our needs and wants. Amazon’s past purchase solution gives us the opportunity to reorder products at the press of the button, storing our history to ensure the purchase process is even quicker and, arguably, less considered. Although this may stop you thinking more than twice about re-purchasing a product, it does tap into our ‘tap to pay’ and contactless culture. Could the potential of personalisation provide predictable revenue for business and predictable spending for consumers? Whilst, the benefits here seem obvious for both parties, we also need to allow for irrational, impulsive, and unpredictable behaviour. Surely, to be truly personal you need to consider the human in people, and predicting that takes more than just data analysis. We all like to think we’re different and of course, we are. Which is what makes personalisation unique – because each customer is. It’s important to understand the needs of your customers and individuals. With these things in mind, we at Pretty Pragmatic create personas that help identify the differences we each have, promote preferences, and help create the personalisation that customers want and need to feel valued, build trusting relationships, and to create a defining brand.